At NDA we love to dance! Email us at info@norwooddanceacademy.com for information about openings. Small classes - Children's classes are limited to 6 students. Individualized instruction - Private tutoring is available. Caring and supportive atmosphere - Every student becomes part of the NDA family. Performance opportunities - NDA presents a performance at Christmas and a year end recital. We have also performed at nursing homes, Norwood Day and at Providence Bruins games. Great news! We are now accepting students starting in grade 1. See our Schedule page for exciting news. 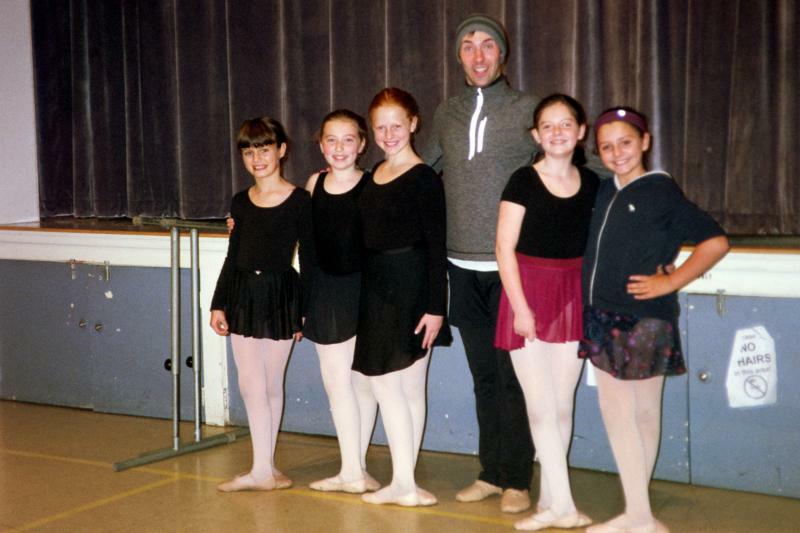 NDA graduate and professional dancer, Joseph Cullinane, dropped in for adult class and visited our Company A dancers. Copyright 2012 Norwood Dance Academy. All rights reserved.